To the fury of Columbus Crew SC supporters, Precourt Sports Ventures (PSV) announced on 17 October 2017 that Columbus Crew SC intended to move to Austin, Texas for the 2019 season. Following the news, supporters of the club began a campaign known as #SavetheCrew. On 15 November 2017, PSV and Major League Commissioner Don Garber met with Columbus Mayor Andrew Ginther, as well as several civic and business leaders from Columbus, in New York, regarding the Crew's future in Columbus. After the meeting, Mayor Ginther said that it was "obvious that Don Garber, nor PSV, had any commitment for the [club] to stay in Columbus." On 5 March 2018, Ohio Attorney General Mike DeWine and the City of Columbus filed a lawsuit against PSV, citing a 1996 state law that prevents sports clubs that benefited from public facilities or financial assistance from relocating to another city without a six-month notice, and attempting to sell the club to a local ownership group. Despite ongoing litigation, on 22 August 2018, PSV unveiled the name Austin FC and badge for the club, at an event at the North Door on Austin's east side. The badge, while designed by local Austin brand studio The Butler Brothers, was critically panned, especially in light of Inter Miami CF's badge, which was released a mere 14 days later. There is nothing inherently wrong with the badge, in fact, it's far better than what the Crew used for 18 of their 23 seasons, but there is nothing about it that speaks to Austin, except where it says the word Austin. Change a single word and the design could be adopted by clubs from anywhere on the continent. Except for maybe Phoenix, but then, Austin isn't exactly flush with greenery itself. 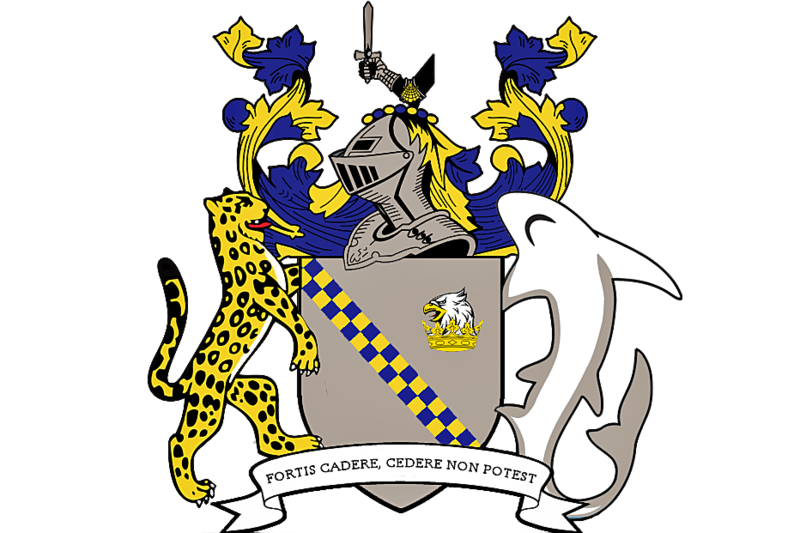 Miami's badge is uniquely suited to its community. It could not be used by a club from Boston, Chicago, or Denver, but Austin's could. PSV were playing it safe. I suppose they had to, given their method of procuring a club for the City of the Violet Crown. That's an odd nickname for a city whose flag, seal, and coat of arms does not include a crown or the colour violet, but at least it's in keeping with their motto, "keep Austin weird." If that's how the people of Austin truly feel, then they must surely love the end of this tale. On 12 October 2018, Jimmy Haslam, owner of the Pilot Flying J truck stop chain, released a statement stating that he was in the process of buying the Crew, along with other local groups. The following day, Garber announced that if the deal went through, the Crew would remain in Columbus, while PSV could start a brand new club in Austin, to begin play for the 2021 season. It was branded as the Everybody Wins scenario. Everybody that is, except for the groups from Detroit, Sacramento, St. Louis, and San Diego, who have spent years working towards joining the league through the proper channels. And that's without even mentioning what this does to the San Antonio group. They have an ownership which is reviled by supporters around the league. The sentiment should not carry over to the supporters of the fledgling Austin FC, but it can be a hard to make the distinction, especially in the tribalistic endeavour that is professional sports. Austin is now a member of the Major League. They will follow FC Cincinnati, which begins play in 2019, Inter Miami CF and the as of yet unnamed Nashville club in 2020, to start in 2021, likely alongside one of Detroit, Sacramento, St. Louis, and San Diego. Austin, welcome to the Major League. It's a special day. You should remember and savour it, for it only comes once... okay, looking at your history in the USL, it should only come once, but c’est la vie. The following three twitter comments are a fair sample of the wider public’s reaction. There are other cities that deserve this, Do we need another Texas team with a half empty stadium? I mean considering San Antonio literally did everything MLS asked of them only for them to let Precourt and Austin by pass the process and undermine their bid shows this isn’t about who is deserving.